To read the Sheriff’s statement in its entirety, please go HERE. In 1896, Essex County officials designated 325 acres of land as the new location of the Essex County Asylum for the Insane. Located in what was then Verona and is now Cedar Grove, the facility housed mentally ill patients who required daily care. The site was selected due to its remote, high altitude location, which, it was believed, could provide a healthy, peaceful setting for patients to rehabilitate in. The complex came to be known as Overbrook, due to its location just beyond the Peckman River. In the early half of the twentieth century, Overbrook was at full capacity. In the 1940s and 50s, thousands of patients were housed at the Fairview Avenue facility at any given time. The facility was so large that it had its own train stop on the Caldwell Branch of the Erie Railroad, used to transport the massive amounts of coal and fuel needed to run the hospital complex. Patients were fed largely by food grown in huge farming field located on the hospital’s property, which they also worked as part of their rehabilitative occupational therapy. Inmates from the nearby Essex County Jail annex also worked the farm, as well as tended to the many cows that provided dairy products for the patients of Overbrook. A salaried farmer lived on the Overbrook grounds to oversee these operations – in 1920, the at that time exorbitantly priced $50,000 home built for the “Overbrook farmer” created a high amount of controversy. A bakery and firehouse also stood on the hospital complex’s grounds, further cementing its status as a strange town within a town. Overbrook even had its own semi-professional baseball team that competed with teams from neighboring towns! Throughout the 1960s and 70s, the introduction of new medications meant that mental hospitals and their methodologies were quickly becoming outdated. The number of patients that made their way to Overbrook plummeted drastically. Throughout the 1990s, the hospital operated, albeit with a miniscule population, and many of the buildings on the property were abandoned. Curious locals began exploring the abandoned portions of Overbrook, and dozens of local legends were born. In 2007, Essex County announced that a newer, smaller, more modern hospital was being constructed, and that the Overbrook site would be converted into a 90-acre county park. Overbrook was a central facet of Essex County’s history throughout the 20th Century. It also was a focal point of the area’s local legends. The hospital was laid out at the bottom of a hill atop which sat the Mountain Sanatorium – a facility used at various times to treat tuberculosis patients, wayward children, and drug abusers. These two facilities, and the many abandoned buildings associated with them, became Essex County’s most legendary location, home to escaped lunatics, troubled ghosts, and roving gangs of ne’er do wells. 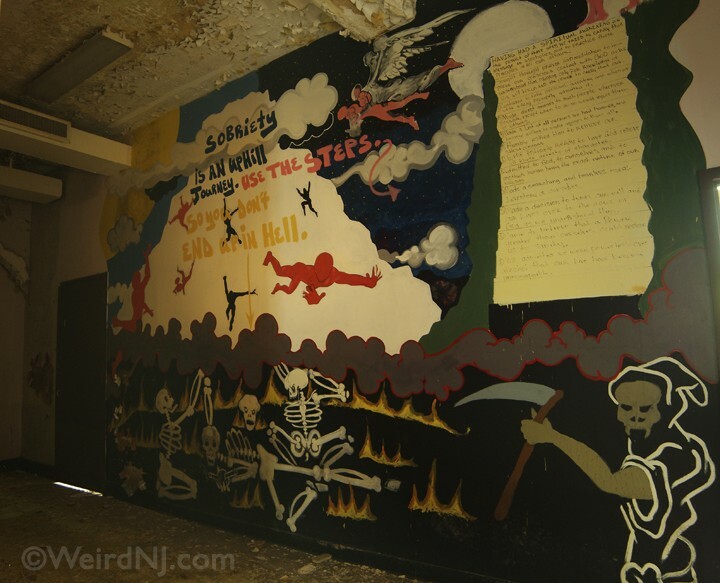 For a generation of North Jersey teens, a visit to the Overbrook site was a rite of passage – going to “The Asylum,” “The Bin,” or “The Hilltop”, as it was called by various gangs of teens, was a surefire way to test your mettle and impress your friends. The thousands of tales that made their way back from the site via these adventurous teens have long cemented Overbrook as a vital part of the tapestry of New Jersey’s local lore. Soon, the Overbrook facility will join the Mountain Sanatorium in being demolished and gone forever. But the stories that abound regarding the site have ensured that it will never be forgotten. One of Weird New Jersey’s most famous North Jersey sites is on the brink of extinction. The Essex County Hospital Center on Cedar Grove’s historic Fairview Avenue has been relocated to a new site on Grove Avenue, about a half-mile or so east of its original site. The introduction of the so-called “wonder drugs” for the treatment of brain disorders over the last half-century or so meant the deinstitutionalization of hundreds of patients in psychiatric centers across the nation. 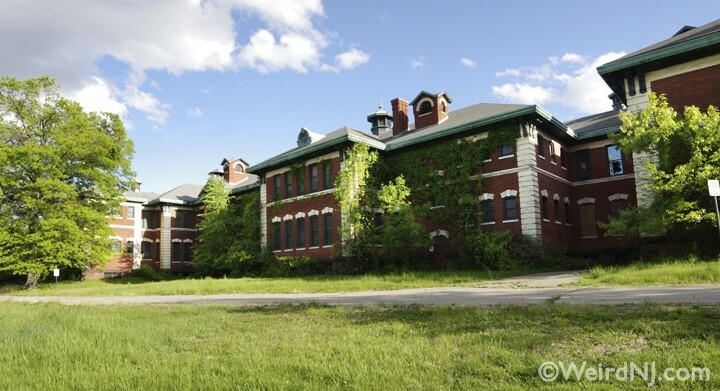 Gradually, the Essex County hospital lost most of its patients and started its long decline into ruination and decay. As a member of the board of trustees of the National Alliance on Mental Illness (N.A.M.I. ), Essex County chapter, I along with my colleagues advocated about ten years or so ago for the improvements at Overbrook and, finally, for the closing of the outmoded Victorian facility and the building of a state of the art, modern psychiatric hospital on county owned property in suburban Cedar Grove. Knowing that the old hospital was beyond repair, our county officials tried to relocate the center to Newark’s West Ward, ironically where it had operated in the nineteenth century. 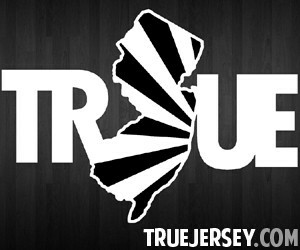 Now, I am proud to have been born and raised in good old Newark, New Jersey’s largest city. Unfortunately, the site chosen for this madcap plan was in a rather depressed neighborhood that would not have provided a safe and therapeutic atmosphere for the Center’s few hundred remaining patients. 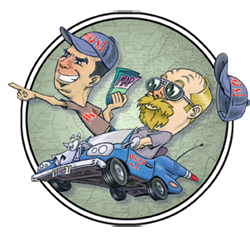 To make a very long story short, our N.A.M.I. chapter spent about $30,000 or so in legal fees to block this disastrous and politically motivated scheme. Our efforts were successful, and in April of 2006 a beautiful new Essex County Hospital Center opened its doors to patients and staff of what was once Overbrook. The very large old center’s grounds were desolate and poorly maintained. 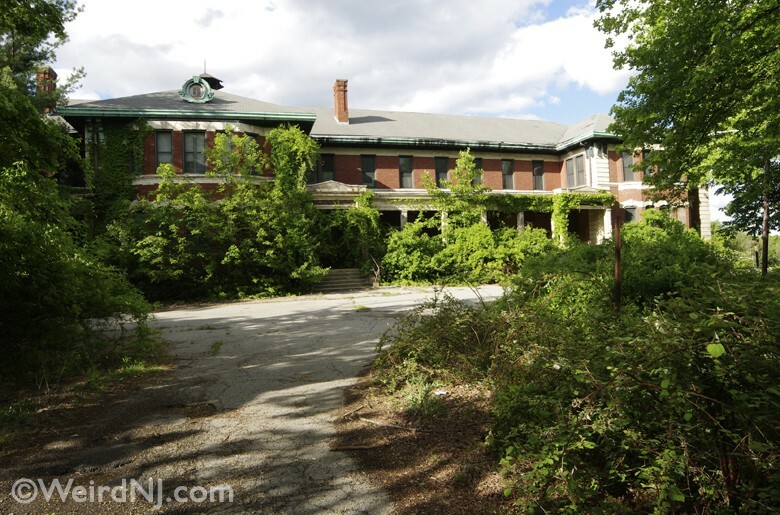 After the transfer and abandonment, many stories appeared in good old Weird New Jersey about Overbrook, and there was much confusion between the hospital’s site and neighboring sites were other county institutions once stood. There were pieces on the tunnels, the abandoned medical equipment, hauntings, persons trapped in long closed wards, etc. Unfortunately, there were many trespassers roaming about, entering windows and doors, and playing “chickie” with the cops and security forces patrolling the old place. Even though Mark and Mark constantly warn their loyal readers about trespassing, it is still rampant along the ghostly, weed infested lawns and pathways. Originally, the entire Overbrook site was slated for development by a large outfit specializing in upscale housing. These ancient public tracts were sold piecemeal to the so-called “developers” at fairly ridiculous prices considering the very high prices for property in toney West Essex. The entire west side of Fairview Avenue, where the old firehouse stands, is now privately owned and is aggressively patrolled by a security force that will not hesitate to turn interlopers over the local police for prosecution. I heartily advise my fellow history lovers to stay off this acreage! Once again, I’d like to caution readers of this fine publication to avoid trespassing on this eastern half of the old place. It is also extensively patrolled by Essex County Sheriff’s Department deputies twenty-four seven. Don’t go where you are not supposed to, my friends. Crime does not pay, even when exploring broken down and often dangerous old structures. As many readers know, the Overbrook parcel slated for park purposes contains many unusual and very weird old buildings. As the president myself of a local historical society in nearby Verona, I hope to meet with other historians and conservationists to discuss the planned changes to the site, along the lines of collaborative efforts to identify and hopefully conserve parts of this very historic property. We all hope that when the new park is created, many readers of Weird New Jersey will visit the place. Hopefully, our efforts will be successful and we should be able to secure and preserve buildings or sites of historical importance and interest. Good things are definitely worth waiting for! In closing, please realize the Overbrook and the sanatorium were two very different facilities. Up and over Second Mountain is the Hilltop Reservation, bordering Verona, Caldwell, and North Caldwell. The several hundred acres of this lovely reservation was the former site of the Essex County Mountain Sanatorium, a treatment facility for victims of tuberculosis. Closed in the 1970s, this famed treatment institution rotted away and was vandalized for decades. Now cleared of all structures, it is developing into a prime recreation and nature study reservation. Just to the south of this reservation is the soon to disappear Essex County Jail Annex. Originally named the Essex County Penitentiary, the “Pen” was opened in 1872 and closed four years ago when the state of the art Essex County Correctional Facility opened in Newark. Efforts to preserve the facility’s impressive brownstone façade were unsuccessful and demolition is underway to make room for even more McMansions. If any place were truly haunted, it would have to be this site, where thousands of penitents paid their dues to society for almost a century and a half. Oh boy, if only THESE walls could talk. Note: I had the pleasure of serving as therapeutic activities volunteer at the Essex County Hospital Center from 1983-1985 on half a dozen wards, but mostly with a female geriatric unit. “The filming is the last hurrah for the sprawling collection of red- brick wards that are to be sold at the end of the month to homebuilder K. Hovnanian. In the movie, it will be called St. Anthony’s. …In 1978 alone, there were 150 reports of missing patients, one of whom walked off in his pajamas, broke into a Cedar Grove home, took a carving knife and hammer and tried to abduct the housewife while stealing her car. He was later arrested in Pennsylvania. Even more recently, AFTER all the present rash of trespassing arrests began, Essex County once again rented the hospital out to another production company, this time from the Travel Channel. They came to film a show called Extreme Ghost Adventures, (http://myentertainment.tv/Shows.asp) in which a group of “Ghosthunters” stalk around the abandoned hospital in search of apparitions. “The 1,800 insane patients at the Essex County Hospital, at Cedar Grove, NJ, are sffering serious discomfort and in some cases incurring danger from the practically complete collapse of the heating and lighting plant of the institution. The sleeping quarters of the inmates are practically without heat, and have been so during the recent cold snap… the management of the institution has even been trying to borrow a locomotive from one of the railroads to furnish steam for heating and power. 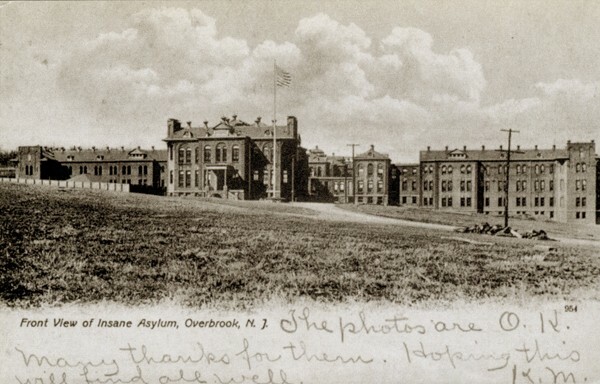 Conditions at Overbrook became so bad during this catastrophe that the hospital’s director sent a letter to the families of interred patients encouraging them to remove their relatives from the hospital’s care until the problems could be fixed. For most of the 1990s, the fate of the Overbrook and Mountain Sanatorium properties was one of the most hotly debated issues in Essex County. It was almost impossible to open up any of the county’s small town newspapers without finding fiery debate over how the buildings and lands in question should be used. “I still remember using the road through there as a short cut and the patients literally hanging out of windows screaming and carrying on during a summer full moon. We rolled up the windows, locked the doors, and never used it again. I was born and schooled in Essex County, New Jersey. As I recall, there was a mental institution named “Overbrook” that was in Cedar Grove and the Essex County Sanitarium that was in Caldwell. Growing up, I lived in Cedar Grove very near the Verona line. Our eighth grade had graduation exercises at Overbrook in 1944 before the new school, and before Cedar Grove had a high school. We were shipped to Bloomfield High School to complete our education through grade twelve. I always laughingly said that I graduated from a mental institution. This Internet story is only an excerpt of the information we have published on this subject. 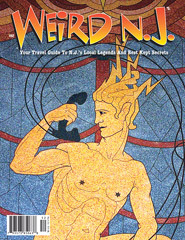 For the full story we suggest you refer to past issues of Weird NJ Magazine. To keep up to date on this story and all the other weird goings on in the state subscribe to Weird NJ and we’ll deliver it to your door. 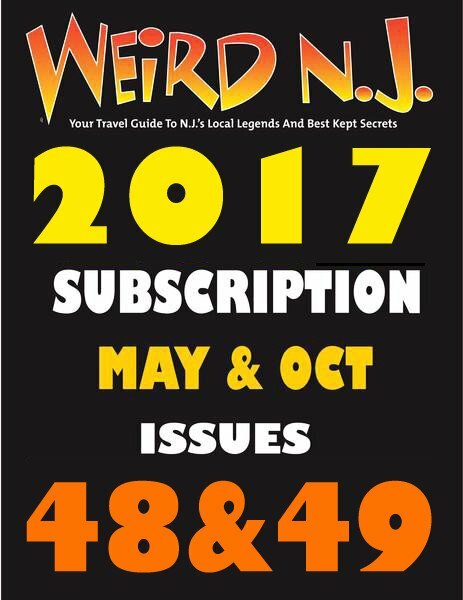 If your local book seller, newsstand or convenience store doesn’t carry Weird NJ, just tell them to call us toll free at (973) 256-2011 and we’ll be happy to stock your favorite store for you. 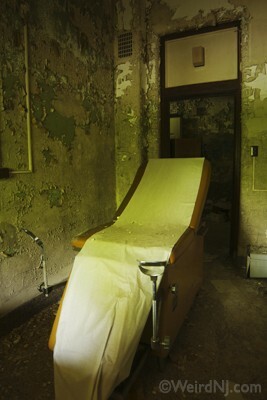 This entry was posted in Abandoned and tagged abandoned, asylum, cedar grove, essex county hospital, Overbrook, verona. Bookmark the permalink.